ADDO AI is built on a strong partnership between industry and academia. The application of artificial intelligence to real-world problems requires deep skills and experience. That's why every product created at ADDO AI is supervised by Associate Partners who are leading experts in the AI specialisation required. This partnership was inspired by our CEO Ayesha Khanna's experience advising the Singapore government on the Skills Future program, which strengthens collaboration between industry and academia to foster innovation. The central role of our Associate Partners enables ADDO AI to take on almost any type of business challenge that can be tackled with applied AI techniques. Ayesha is Co-Founder and CEO of ADDO AI and brings over 15 years of experience in technology innovation. She worked for over a decade on Wall Street advising clients on technology and information analytics systems. She was author of Straight Through Processing and co-author of Hybrid Reality: Thriving in the Emerging Human-Technology Civilization. She is an expert in smart city product development and innovation. Ayesha has a BA in Economics from Harvard University, an MS in Operations Research from Columbia University and a PhD in Information Systems and Innovation from the London School of Economics. Faisal is Co-Founder and President of ADDO AI and a respected expert in data science and machine learning. He was awarded an internationally competitive award for innovation in machine learning research by The World Bank Group in March 2017. He has over 6 years experience on creating data analytics solutions to guide government and corporate entities. He is Assistant Professor and the Director of Data Science Lab at Information Technology University (ITU) in Lahore. Faisal received his PhD in data analytics and machine learning from The Eindhoven University of Technology in the Netherlands. 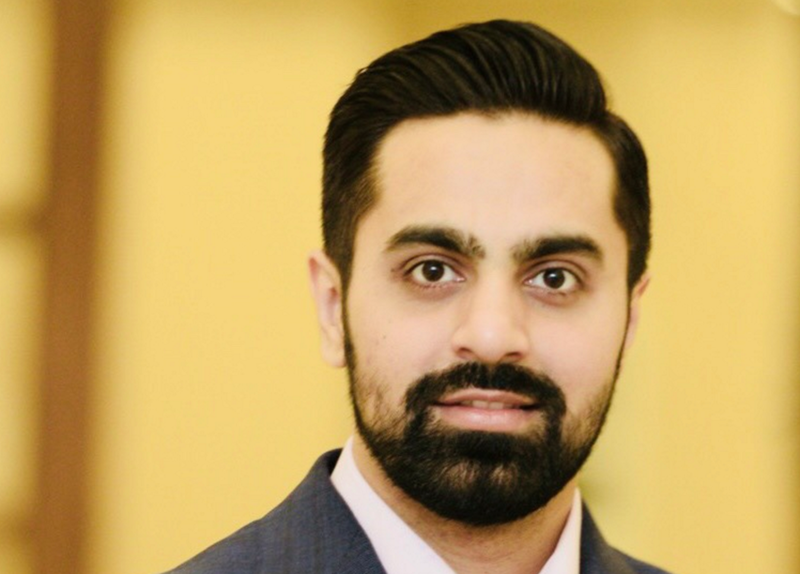 Asim is Vice President, Research at ADDO AI and is an internationally recognised academic and consultant in the areas of data mining, machine learning, and applied artificial intelligence with over 14 years of experience. He has authored over 50 research articles and published two books, and his publications have over 1400 citations. In 2015 he was awarded the prestigious PAS-COMSTECH Prize in Computer Science by the Pakistan Academy of Sciences in recognition of his outstanding scholarship in computer science. He is Professor of Computer Science at Lahore University of Management Sciences (LUMS). Asim has a PhD in Computer Science from Ohio State University. Adnan is Chairperson and Associate Professor, Department Computer Science, Information Technology University (ITU). He is a well-known expert in applications of AI to dynamic network traffic and vehicular diagnostics, and his research interests include wireless sensor and ad hoc networks, Internet of Things (IoT), distributed algorithms, mobile and distributed systems and cloud computing.. He has published more than 21 papers in refereed conferences and journals. Dr. Adnan holds a PhD in Computer Engineering from the Sapienza University of Rome. Salvatore is Associate Professor at the Computer Science Department of the University of Pisa. He directs the Masters in Business Informatics with research interests focused in the data mining and knowledge discovery area, including: discrimination discovery and prevention, privacy and fairness, languages and systems for modelling the process of knowledge discovery; sequential and parallel classification algorithms; web mining; and applications. He holds a Ph.D. in Computer Science from University of Pisa. Mian Muhammad is a Professor in the Department Of Computer Science at Lahore University of Management Sciences (LUMS).Dr. Awais received his Ph.D. from Imperial College, University of London. His Ph.D. work related to the development of on-line models for parametric estimation of solid fuel-fired industrial boilers. Dr Awais has also conducted research work on a class of iterative methods pertinent to Krylov subspaces for optimisation, such as the oblique projection and implicitly restarted model reduction methodologies. Ah-Hwee is an internationally recognised expert on cognitive and neural systems and Professor of Computer Science at Nanyang Technological University. He was previously founding Director of Emerging Research Laboratory and a Research Manager who spearheaded the Text Mining and Intelligent Agents programmes at A*STAR Institute for Infocomm Research (I2R). His current interests include human-centric computing, brain-inspired intelligent agents, cognitive and neural systems, machine learning, knowledge discovery and text mining. Ah-Hwee received the Ph.D. in Cognitive and Neural Systems from Boston University. Mohsen is a co-founder of Intelligent Machines Lab a tInformation Technology University (ITU and heads the Computer Vision Research Group. His research interests lie in the areas of Computer Vision and Machine Learning, specifically Deep Learning and sparse representation. Some of the research problems he is pursuing are satellite/aerial imagery analysis (research page), affective computing (research page) and multi-image co-segmentation. Dr. Ali holds a PhD in Computer Engineering from the University of Florida. Agha is a world renowned expert on speech-based human computer Interfaces, telephone-based automated dialog systems, and natural language processing. He has authored/co-authored more than 11 research papers in peer-reviewed conferences including in the area of speech-based, development-related information and communication services to users in the developing world. Agha Assistant Professor at Information Technology Univeristy (ITU) and is a Fulbright Scholar with a PhD from the Language Technologies Institute, School of Computer Science at Carnegie Mellon University. Waqas is an Assistant Professor at Institute of Space Technology (IST). He is a remote sensing and SAR expert, working in research and applications for more than 8 years. He utilizes remote sensing data to study earth surface processes and earth systems, including land features, crops, forests, oceans, and geology. His speciality is remote sensing, Synthetic Aperture Radar (SAR) imagery and interferometric data processing & analysis. Dr. Qazi has a Fulbright PhD in Aerospace Engineering Sciences, focus area Remote Sensing, Earth & Space Science from University of Colorado Boulder. 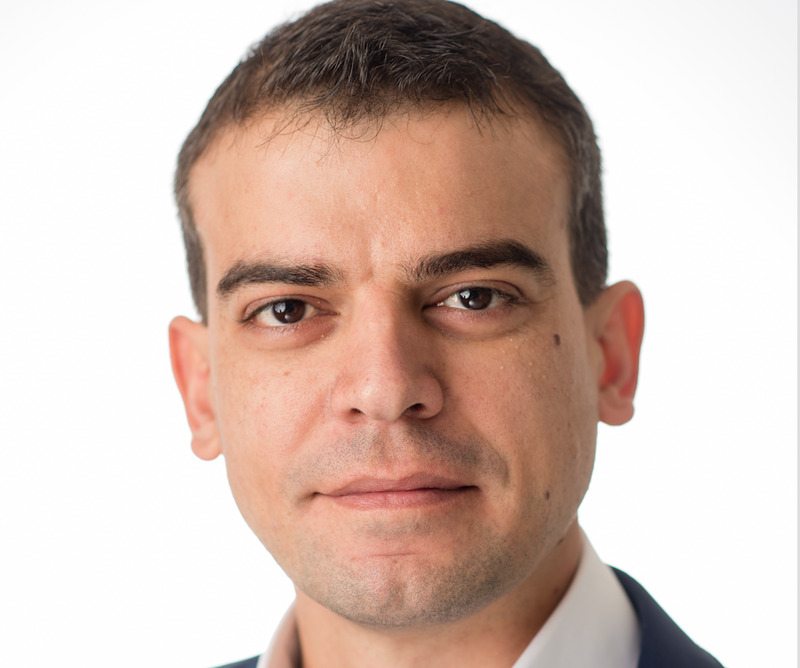 Daniele is Head of Artificial Intelligence Planning at King's College London, and Member of ICAPS Executive Council. He is Assistant Professor of Computer Science at King's College London and his areas of interest are in Artificial Intelligence Planning with a focus on hybrid systems, robotics and autonomous systems (RAS), smart cities. Dan consults and writes widely on the on the topic of artificial intelligence. Dr. Magazzeni holds a PhD in Computer Science from University of L'Aquila, Italy. Maudood is a Research Scientist in Earth & Space Science, Strategy, and Policy. He conducts earth systems modeling simulations and satellite data analysis in support of research aimed at understanding the formation, properties and lifecycle of clouds and aerosols. He was a Senior Research Scientist at Universities Space Researchers Association and worked on advance earth system science through innovative use of data from space-borne systems. Dr. Maudood Khan has a PhD from Georgia Institute of Technology in Environmental Engineering. College and has a PhD from University of Central Florida. Tahir is Assistant Professor at the Department Of Electrical Engineering at Lahore University of Management Sciences (LUMS). He obtained his Ph.D. degree also from Politecnico di Torino, Italy in the field of Electronics and Telecommunication. His research activity is focused on the development of novel algorithms for satellite navigation receiver technology. His research interests include receiver baseband signal processing algorithm design and development, Bayesian signal processing, detection and estimation theory, channel coding in communication networks, machine learning and sequential Monte Carlo methods. Subodh is the Tan Chin Tuan Centennial Professor in the School of Materials Science & Engineering at the Nanyang Technological University (NTU), Singapore. Subodh is also the Executive Director of the Energy Research Institute @ NTU (ERI@N), a pan-University multidisciplinary research institute for innovative energy solutions. Dr. Mhaisalkar Subodh received his MS/Ph.D. degrees from The Ohio State University. Chris has over 25 years’ experience on three continents providing risk, analytics, and technology consulting to major financial institutions and financial service software vendors. His executive experience covers some of the most dynamic analytics providers on the planet – IBM, UBS, KPMG, Oracle, SunGard. He has a PhD in Business from Harvard Business School, an MBA from the University of Chicago (Finance) and an MA from Cambridge (Physics). Virgil is an experienced technologies known for his creation of WikiScanner. He has published papers on artificial life and integrated information theory. His areas of expertise includes blockchains, crypto-finance, security/privacy, machine intelligence, machine learning, computational law, and data-science, and has been a Senior Data Scientist with Intellex. He has been a post-doctoral fellow at Singapore-MIT Alliance for Research & Technology Centre. Virgil has a PhD in Computation and Neural Systems from Caltech. Javed is Director at ADDO AI. He had a distinguished career in government for 40 years serving in senior administrative positions of Commissioner, Provincial and Federal Secretary as well as the Principal Secretary to the Prime Minister of Pakistan. He was also the 9th Federal Ombudsman of Pakistan. Javed is Senior Fellow at the Graduate Institute of Development. Studies, Lahore School of Economics, and has an MA from the Fletcher School, Tufts University, USA. Cliff is a Senior Partner for ASEAN at ADDO AI. He is concurrently President of energy efficiency firm Synerbyte that saves industrial clients 90% on lighting costs in Philippines, Singapore, Malaysia, Thailand, Indonesia and Vietnam. He was Founder and President of technology consultancy Stratpoint that was acquired by a VC in 2007. He has an MBA from the Ateneo Graduate School of Business, Philippines, and an M.A. in Philosophy from University of Navarre, Spain. Ahsan is a Senior Partner for Middle East at ADDO AI. He is an expert in scalable machine learning, big data architecture, deep learning and its applications in smart cities, information security and biomedical engineering. Ahsan was awarded a Fullbright fellowship and graduated from the Department of Electrical and Computer Engineering with minor in Artificial Intelligence from Michigan State University, USA.